In an appearance on SBNation radio, J.R. Wilco breaks down the Kawhi situation, draft night, and the future of the Spurs. Pounding the Rock editor-in-chief J. R. Wilco visited with Matt Perrault Wednesday on SB Nation Radio explain how to dissect today’s draft in the shadows of the uncertainty surrounding Kawhi Leonard’s future with the Silver & Black. Mr. Wilco shared how the meeting between Gregg Popovich and KL’s team turned out in light of a lack of conclusive statements afterward. Leonard’s absence throughout the season paired with his postseason disappearing act set up last week’s trade request. 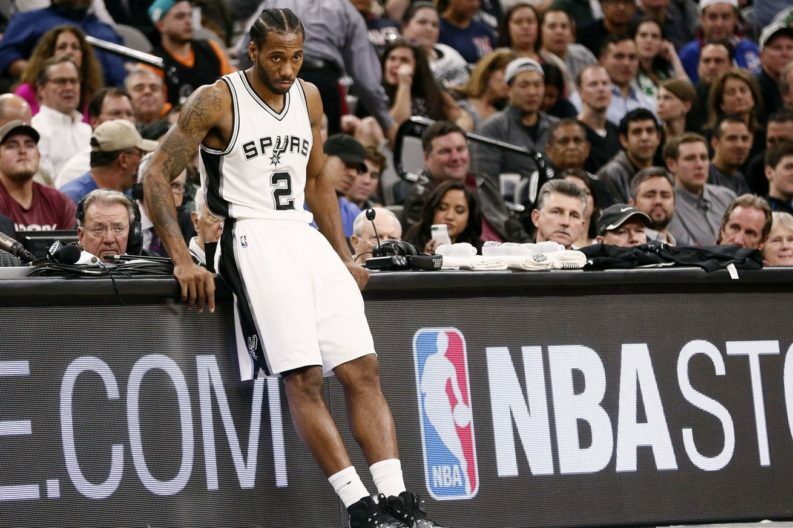 With discrepancies in value and Leonard’s camp claiming the Lakers as the only preferred destination, trading Kawhi Leonard could be tricky. Getting proper value is the toughest assignment for PATFO before the draft picks become players. In addition, there was hypothesis on how tonight’s NBA Draft might become an event for Spurs fans. To listen to the interview, play it in the link below.